Day ONE of the 2015 National Fire Protection Association (NFPA) Convention & Expo has begun! 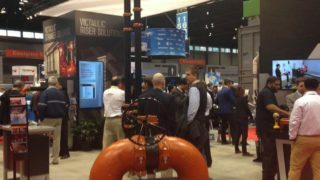 Before the show we were able to sit down with Victaulic’s own, product manager Daniel Wake, and Raanan Tenna, Fire Protection product manager at Victaulic Bermad Technologies (VBT), to talk about the new partnership and what this means for the future of Victaulic’s fire protection product offerings. Check out our interview below! What markets and applications will the Victaulic-Bermad partnership focus on? Raanan Tenna (RT): Our main focus of the partnership is the commercial and residential fire protection markets, with a strong focus on pressure reducing and pressure relief control applications. We are also focusing our special deluge systems with the unique features that the Bermad line has to offer. Daniel Wake (DW): Like Raanan said we’re certainly concentrating our focus on the pressure control and level control options for the commercial and light industrial marketplaces. Focusing on these key, specialized components will let the Bermad product line enhance what Victaulic is able to offer. Raanan, what are some of those features that the Bermad valves specialize in? RT: One of the main features is combining pressure control functionality into the deluge valve. That gives us the option to control the system like you would control an ordinary deluge valve but with the added capability of being able to switch it off or control the pressure when you need to. What does the expansion of valve and device offerings include? RT: It brings in the On/Off and pressure control valves, the deluge valves that I mentioned which allow users to reset remotely and use a constant, preset downstream pressure, along with Bermad’s remote and level control valves. 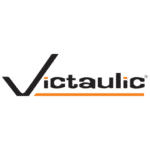 DW: This further completes the total package that Victaulic can offer to our customer base. Following through with what we’ve already been very successful with in the marketplace with our grooved joining technologies, the Bermad product line will further compliment the FireLock NXT valves and complete the fire protection offering. 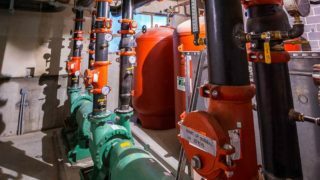 In commercial applications such as a high rise, this would further provide a complete solution from Victaulic in flow control assemblies and fire pump assemblies, as well as compliment sprinklers, flexible hoses, couplings and fittings and basic riser manifold assemblies. Bermad products are known for quality much like Victaulic products are. Can you expand on where that reputation for quality comes from? RT: The Bermad products are known for quality from many years of developing new and innovative products. At Bermad we partner with our customers and follow up with service until all the challenges and all the requirements are met to the customer’s satisfaction. This allows our customers to trust us and creates long-term relationships. Bermad has also gained a reputation for always being ready to take on new technical challenges, even when the sales potential is not always guaranteed or immediately obvious. This is what has kept us at the leading edge of the control valve industry and made Bermad a technology leader. DW: Those reasons above are exactly why we wanted to pursue this partnership and are now proud to offer these products under the Victaulic name. Can you list some of the key features of the Bermad product line? RT: The valves are designed to this market, including all the accessories. Many of the accessories on our fire protection valves are specially designed for the fire protection market, which is very different from the water or municipal markets. Because the valves are designed with a fire protection customer in mind, ease of maintenance is paramount. The fire protection valve is often times overlooked and is not an easy product to service. So Bermad set out to make it as easy and reliable as possible and that’s Bermad’s contribution to the Fire Protection system. 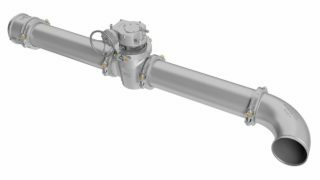 The valve is designed to be an in-line serviceable valve, so you can disassemble it while it’s in the line. The trim components are made to disassemble as easily as possible and in the new valves the trims are completely on the side for easier access. Other key features of the Bermad valve line include very high flow capabilities and low pressure loss, minimal flow obstruction and a wide range of pressure ratings. What types of new system solution opportunities do you foresee for the future? RT: Aside from the obvious opportunities of a mutual customer base and providing products to each other’s customers, one opportunity that jumps to mind immediately is what we’ve already seen, a very nice combination in mini cabinets where we built a device using each other’s products and were able to assemble a combined fully trimmed and tested unit in a cabinet. DW: Our initial partnership with Bermad, was on a project that led us down a path of being able to provide high quality combination of products tailored to the contractor’s exact needs for the certain application. Being able to provide the value-added benefits of a plug-n-play style product with everything completely assembled and tested from the factory, allowed the contractor to stage and install the valves more efficiently. What are you most excited about for the upcoming NFPA Conference and Expo? DW: NFPA is a fantastic show. It’s not just a U.S. or North American expo; it is very much a global expo. The NFPA organization for codes and standards touch many different places around the world. It’s a fantastic place for us to be able to showcase not just our own product lines but also the joint venture that we have and show that there is a new force in the industry with some of the best products available. RT: What Daniel said sums up a lot of what I’m excited about with this new joint venture. This brings us to a market we didn’t have a strong presence in. It renews and widens our national exposure to the commercial and residential fire protection market, which has traditionally been a low-profile market for us, especially in North America. This is the place to get in on the wagon and we are excited! Thank you Daniel and Raanan and good luck at the show this week! To learn more about the VBT venture and much more be sure to stop by our NFPA booth #553!